geschichte, Funktion und Struktur der grundstücksvermittelten Privatrechtsverhältnisse im römischen Recht. Mit einem Ausblick auf die Rezeptionsgeschichte und das BGB’). 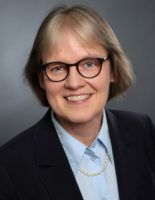 After consecutive semesters as a private lecturer at the Georg-August-Universität Göttingen and substitute professorships at the Ludwig-Maximilians-Universität München and the Freie Universität Berlin, she became professor of civil law and Roman law at Freie Universität Berlin in August 2003. From April 2010 till March 2013 she served as Faculty Vice Dean followed by Deanery from April 2013 to March 2015. Cosima Möllers research areas range from the Roman antiquity with a special focus on contract law, property law and questions of legal method and the influence of Greek philosophy in Roman law to the ‘reception’ of Roman law, the ius commune in the jurisdiction of the German Reichsgericht from 1879 to 1900, as well as current civil law. Her research and her publications concern subjects of contract law, property law and consumer protection law. Since 2007 Cosima Möller has been a member of Topoi and the project leader of B-1 (Surveying and Limitation). She is Topoi spokesperson of research group (B-1) Routes-Water-Knowledge. She is also involved in the Area A with the project (A-3-4) Water from a legal perspective. Her research focuses on the use of water as a resource in light of Roman law (A-3-4) and the surveying and limitations of land from juridical, gromatic and political perspectives (B-1-4). Please take a look at the description in detail under the special projects. 29.06.2015 Talk “Grundlagen privater Wassernutzung im römischen Recht“, auf Einladung der Göttinger Vereinigung zur Pflege der Rechtsgeschichte e.V. an der Georg-August-Universität Göttingen.